So it’s your child’s birthday party coming up. What is one of the most common activities kids want on their birthday? That’s right, face painting. Except that not all of us are artists and many avoid this crafty little activity for that exact reason. 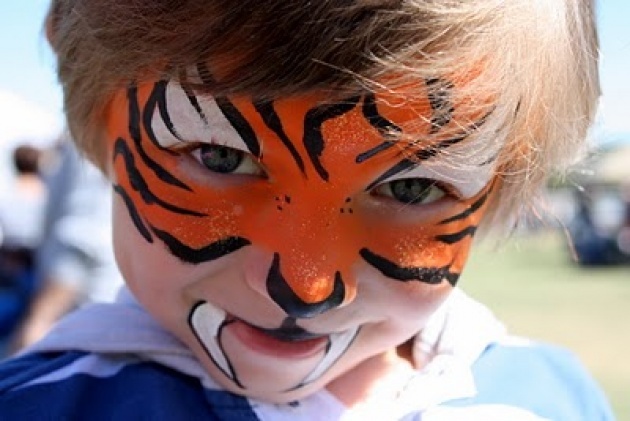 I’ve witnessed the blank expression on people’s faces when a child runs up to the face painting section screaming, “I want a tiger!” or “I want a dragon!” and we gaze at the crowd wondering, how am I going to do this? Well, there are some simple tips that we can all apply. Firstly, we need the right tools. When face painting, don’t just use a brush when applying large amounts of paint to cover the entire face; use a sponge for larger surface areas. Next is, don’t overthink it! Children adore color and simplicity they can understand. You don’t have to be Picasso to please a child when face painting. 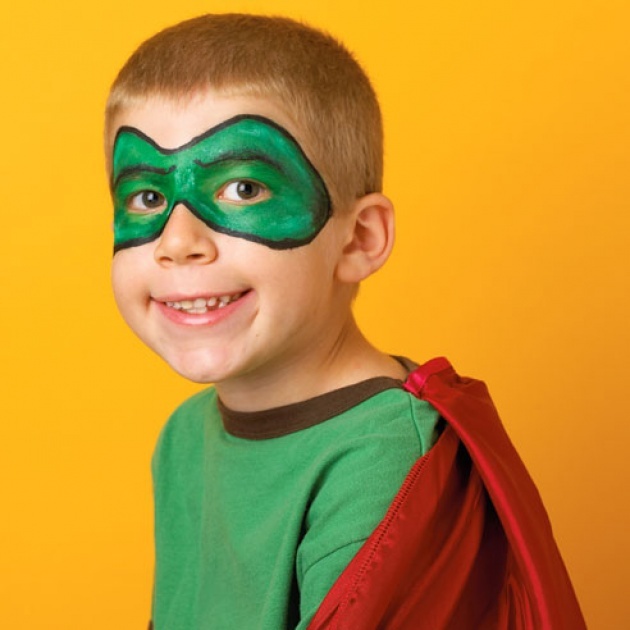 One of your greatest allies with face painting is the black outline. 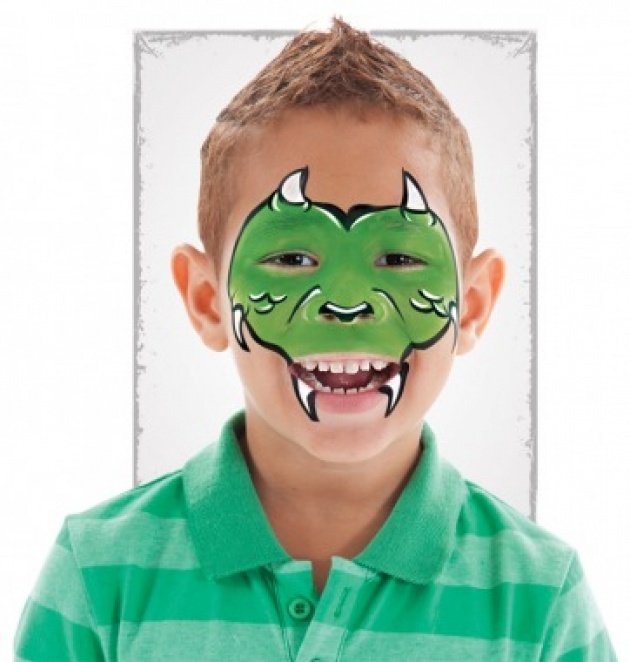 For instance, when drawing a dragon, use a sponge dipped in green, red or orange paint to cover the eye, eyebrows, nose, cheeks and upper lip of the child. Outline the color with a black line. The next part is the fun part; using your black outline, paint two large horns on the top of the face, horns coming down from the cheeks and the bottom lip. Shade in the horns with white and draw some fish scales pointing downward wherever you deem fit. Draw a thin black stripe across the nose and voila! For the tiger, life is even simpler. Spread range with a sponge around the eyes and over the nose. Outline two ‘V’ shapes over the eyes with black, and fill in with white. Then just draw black lines as stripes around the “mask”. Voila! As we can see, face painting isn’t as hard as its cut out to be. For the most part, kids will want butterflies, snakes, devils and pups, which we can all remember to draw after years of grade school. Kids love face painting, so don’t, they’ll love any art you draw.